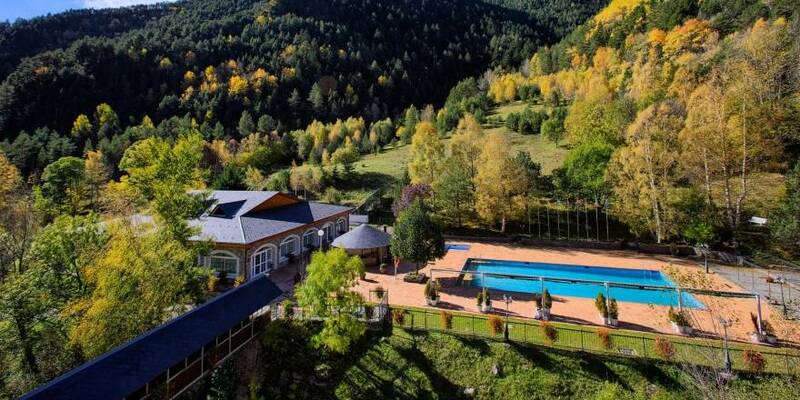 It is located in the village of Erts, in the parish of la Massana, and its proximity to the ski slopes (just 800 m from Arinsal cable car) make this hotel a privileged place to enjoy skiing in the winter and all kinds of adventure sports in the summer. All of the rooms have a hair dryer, enlargement mirror, satellite TV, direct telephone and safe. 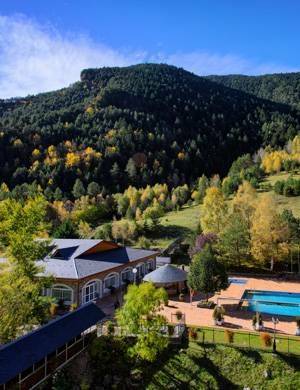 There is a buffet breakfast and its services and facilities include a sauna, Jacuzzi, swimming pool, garden, tennis court, spa, massage room, bar, games room, car park, Wi-Fi throughout the hotel and a conventions room. Its restaurant offers all kinds of national and international gastronomy. The premises allows pets.